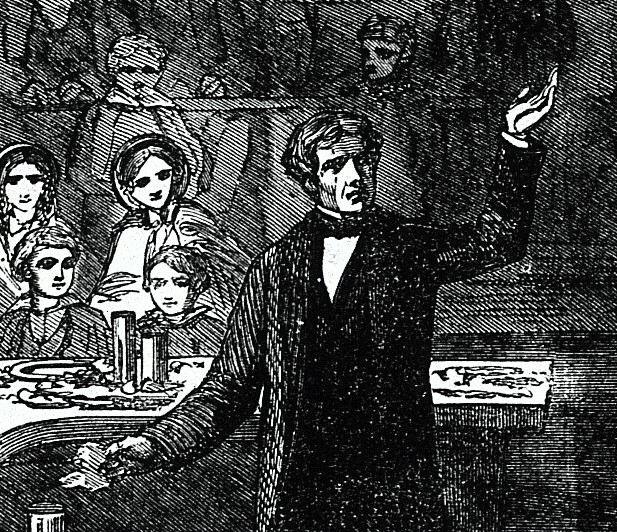 We review the main aspects of the life of Michael Faraday and some of his main scientific discoveries. Although these aspects are well known and covered in many extensive treatises, we try to illustrate in a concise way the two main “wonders” of Faraday’s life: that the son of a poor blacksmith in the Victorian age was able to become the director the Royal Institution and member of the Royal Society, still keeping a honest and “virtuous” moral conduct, and that Faraday’s approach to many topics, but mainly to electrochemistry and electrodynamics, has paved the way to the modern (atomistic and field-based) view of physics, only relying on experiments and intuition. We included many excerpts from Faraday’s letters and laboratory notes in order to let the readers have a direct contact with this scientist. Franco Bagnoli graduated in physics at the University of Florence and obtained a PhD in Theoretical Physics at the Pierre et Marie Curie University in Paris. He works as a researcher in theoretical matter physics in the Department of Physics and Astronomy, University of Florence, and is a member of CSDC. He is the national manager of the INFN initiative PlexNet (physics of networks) and is associated to the ISC-CNR. He investigates the physics of complex systems and networks, with applications in biology, cognitive science, sociology and computer science. He teaches computational physics and science communication. He is president of the Caffè-Scienza (science café) Association for the dissemination of the scientific culture. Roberto Livi is Professor of Theoretical Physics at the University of Florence where he teaches courses in thermodynamics and statistical physics. He is also the Director of the Interdepartmental Center for the Study of Complex Dynamics (CSDC) of the University of Florence and is associated to the National Institute of Nuclear Physics (INFN) and the Institute for Complex Systems (ISC) of the CNR. His research activity mainly concerns the study of transport processes and the modelling of neural networks. Copyright on any open access article in Substantia published by FUP is retained by the author(s). Authors grant FUP a license to publish the article and identify itself as the original publisher. In accordance with our Open Data policy, the Creative Commons CC0 1.0 Public Domain Dedication waiver applies to all published data in Substantia open access articles.